ASHLAND — Hospice of North Central Ohio (HNCO)’s Passages Group is for adults who have experienced the death of a loved one and are looking for a safe space to process their grief, and to be assured they are not alone. The next series started Monday, April 8 from 5:30 to 7 p.m. at HNCO’s Ashland office, 1050 Dauch Drive. In addition, a Grievers of Suicide Group meets the second Wednesday of every month from 6:15 to 8 p.m., and a Parents’ Grief Support Group meets every second Tuesday from 7 to 8:30 pm. All groups are free, open to the public, and facilitated by HNCO’s Bereavement Counselor Kailey Bradley-Thomas, MA LPCC. Free individual counseling is also available for anyone living with grief. 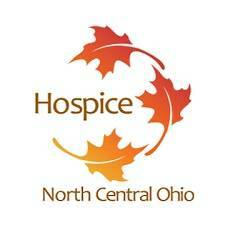 The non-profit Hospice of North Central Ohio serves 200 patients regularly in Ashland, Crawford, Huron, Knox, Morrow, and Richland counties with palliative and hospice services. Additionally, free continuous bereavement services are provided for hundreds of families of hospice patients and to anyone in the community experiencing grief. Call 800-952-2207 for more information on support groups or any of the services provided. HNCO is a partner agency of United Way of Ashland County.